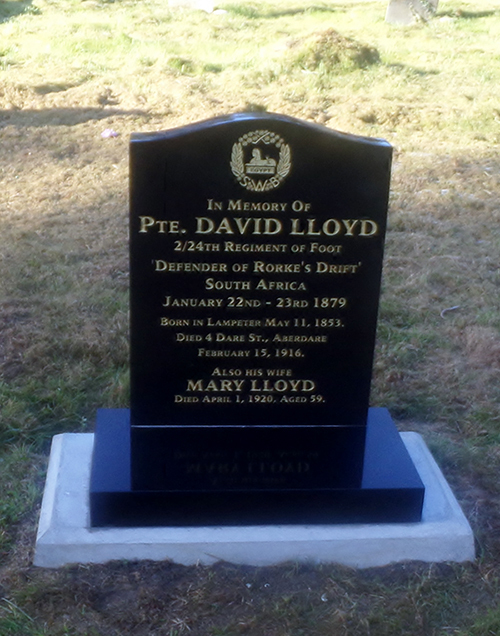 A new gravestone will be dedicated to a Rorke's Drift defender 1409 Pte David Lloyd 2/24th. on the B4275. Phone: 01685 885345 Grave Y14 - 3. All are invited for the occasion. 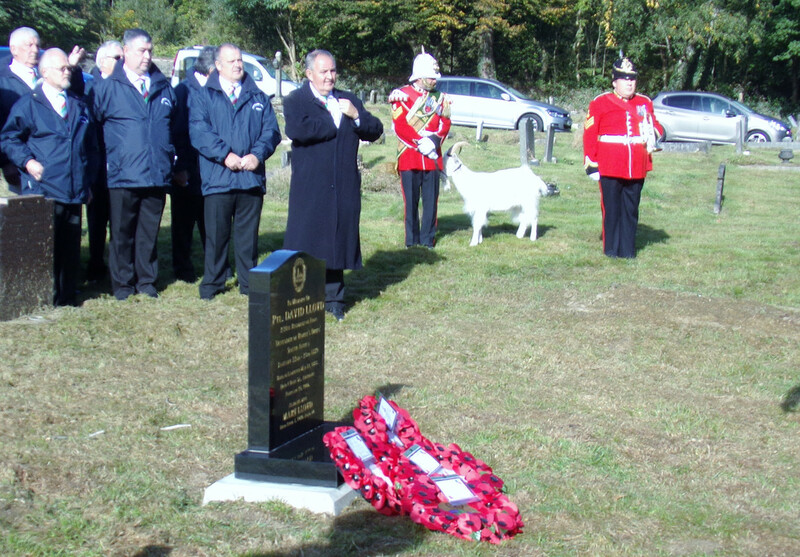 It is a new headstone which the local branch of the Royal Welsh Veterans' Association have managed to arrange. Rorke's Drift defender David Lloyd was born at Dowlais, Merthyr Tydfil (1858 ?). Attested at Brecon 1877, Discharged1889. Unfortunately I can't work out which entrance or where to park. I'll try to find out. Hi, thanks for that. I shall certainly try and get there. Pte Lloyd new headstone service. Images courtesy of Terry Jones.